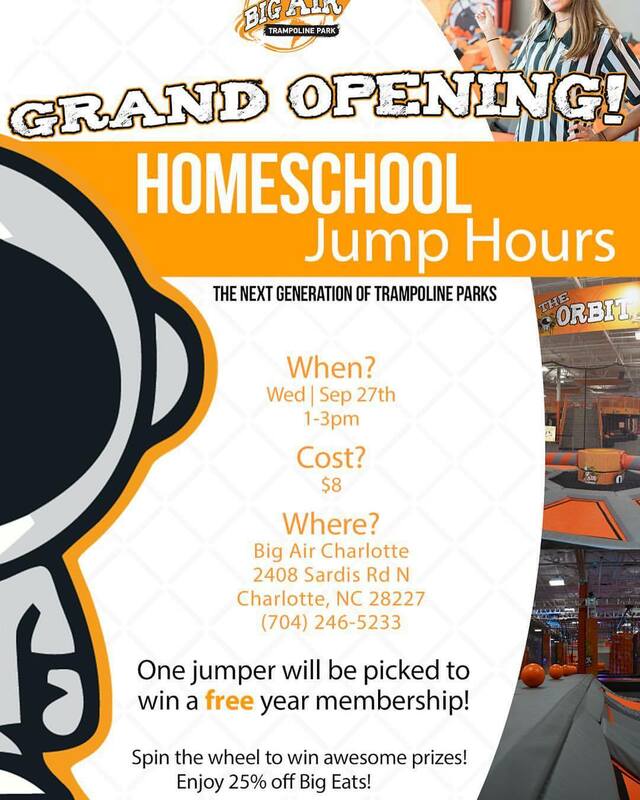 The Homeschool Gossip: Homeschool Jump Hours at Big Air Charlotte - Grand Opening 09/27/17! Homeschool Jump Hours at Big Air Charlotte - Grand Opening 09/27/17! Special Pricing for the Grand Opening ~ $8! Click here for the regular Homeschool Jump Hours Program, it's every Wednesday and Thursday! Click here for more "Homeschool Days" & Special Offers!